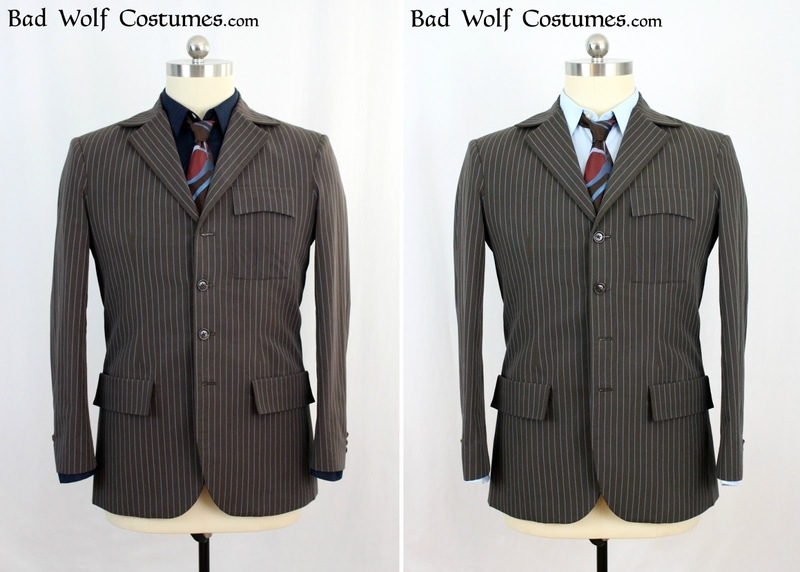 Our new 10th Doctor suit pattern is now available for pre-order at a 10% discount! In fact, we've so heavily revised it that it's basically an entirely new pattern! 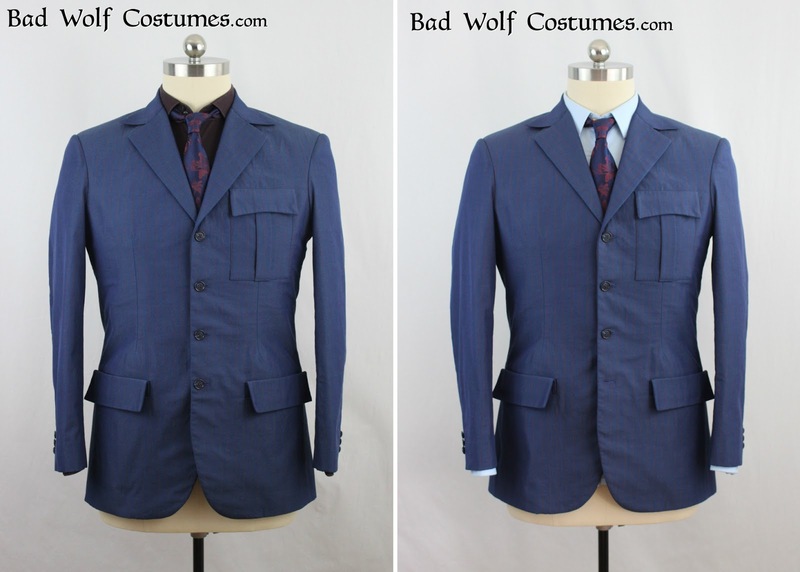 We also adjusted the markings/guides to correspond to Magnoli Clothiers' updated replica fabric. 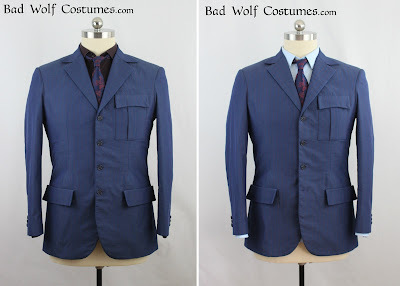 As always, we meticulously drafted it to be as faithful to the originals as possible. 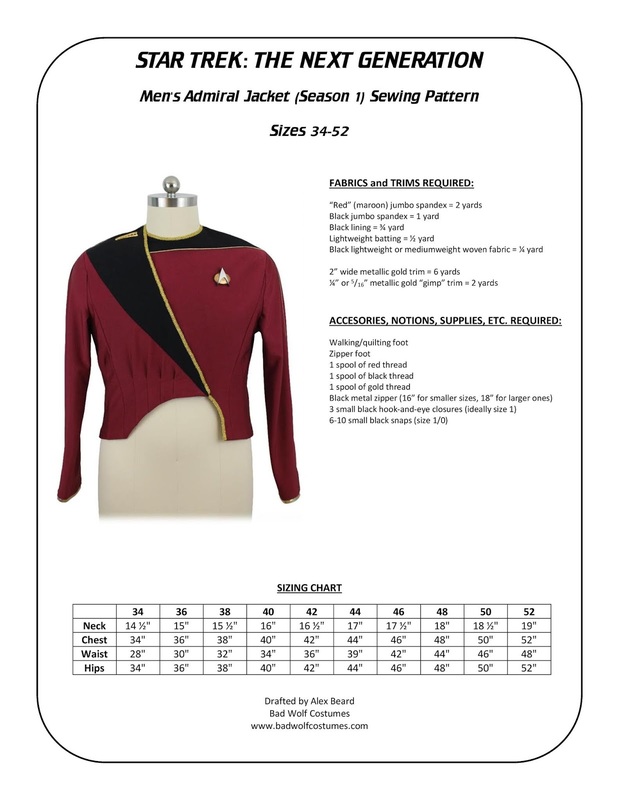 The pattern will begin shipping on Monday, March 18. 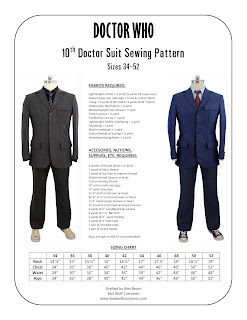 All-new, FREE sewing tutorials (intended for use with this pattern) are coming soon to the "Doctor Who Costume Guide!" 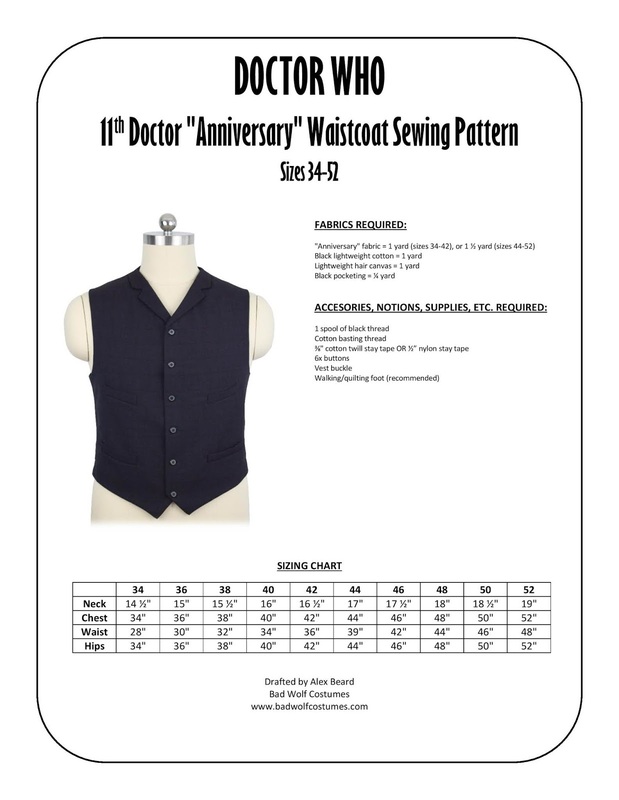 We've put together a new sewing pattern bundle that includes all three of our 11th Doctor waistcoat patterns, at a 20% discount! Free sewing tutorials for all three waistcoats are available on the "Doctor Who Costume Guide" blog!